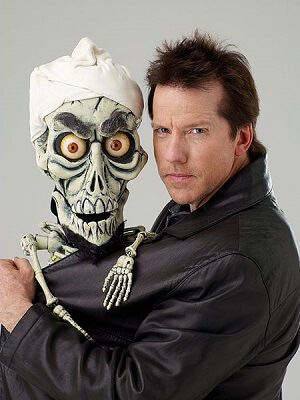 Get notified when Jeff Dunham tickets are available! Jeff Dunham is a comedian who blends stand-up comedy with ventriloquism. Born in 1962 in Dallas, Texas, he has been active since the late 1980s when he broke out after an appearance on The Tonight Show. Since then, he has appeared on TV numerous times, had his own TV show and recorded specials. Jeff Dunham tours the United States, putting on performances throughout the country in major cities at various venues throughout the year. If you would like to see him perform live, you can check out the list of tour dates above and then buy Jeff Dunham tickets online.